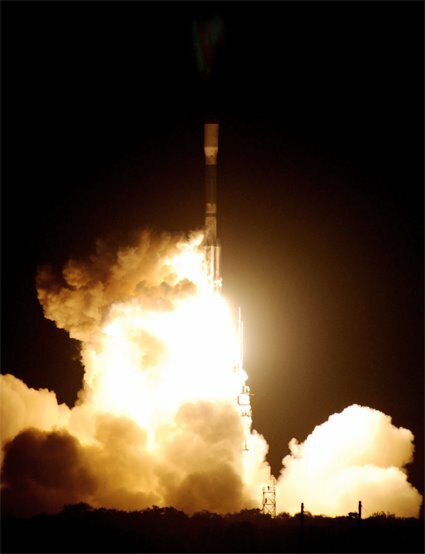 Yesterday Kepler was launched and I am very excited about this mission. The goal of the mission is to find Earth like planets around other stars. Kepler will do this by watching the same section of sky for three years looking for eclipses by the planets that orbit those stars. How can this be possible? Well, amateur astronomers have already been doing this. Having a space telescope built designed for it will make it even more possible to look into depths of space for other worlds. I also found out that L3-Brashear made the primary mirror for Kepler. I am currently reading John Brashear’s autobiography who founded L3-Brashear. Pretty cool. I will be following this mission closely. ~ by jhissong on 2009/03/10.